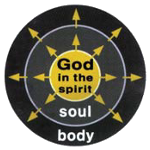 But before man could receive God as life into his spirit, sin entered into him (Rom. 5:12). Sin deadened his spirit (Eph. 2:1), made him an enemy of God in his mind (Col. 1:21), and transmuted his body into sinful flesh (Gen. 6:3; Rom. 6:12). 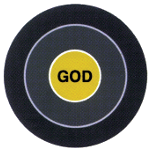 Thus, sin damaged all three parts of man, alienating him from God. In this condition, man could not receive God.). After regeneration, a believer needs to be baptized (Mark 16:16). Then God begins the lifelong process of gradually spreading Himself as life from the believer’s spirit into his soul (Eph. 3:17). This process, called transformation (Rom. 12:2), requires human cooperation (Phil. 2:12). The believer cooperates by allowing the Lord to spread into his soul until all his desires, thoughts, and decisions become one with those of Christ. Finally, at Christ’s return, God will fully saturate the believer’s body with His life. This is called glorification (Phil. 3:21). Thus, instead of being empty and damaged in each part, this man is filled and saturated with the life of God. This is God’s full salvation! Such a man now expresses God, fulfilling God’s plan!